There are many reasons why using Pilates is effective for conditioning or rehabilitation of a client with Fibromyalgia. Pilates is a low impact program that focuses not only on core strength and stability, but the use of breathing and breath work. Breathing oxygenates blood and increases circulation to all regions of the body. With recent studies showing that breathing while incorporated during exercise can increase relaxation of muscles and thus avoid undue tension, the use of Pilates is a “no brainer”. 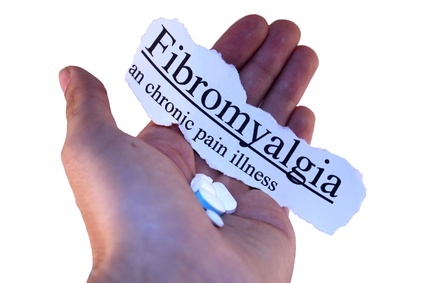 A strong tendency for those suffering from Fibromyalgia is to “disconnect” from their body. Pilates’ emphasis on the connection of the mind to the body, can also be a huge benefit. Clients’ ability to participate in an exercise program from which there is no exacerbation of symptoms can greatly improve their sense of well being. From a musculoskeletal standpoint, it also allows for the improvement in articular mobility of the spine in a very gentle and supported environment. Key areas of focus for this type of program design are primarily endurance, posture and managing fatigue. One strategy for optimizing the exercise experience for the client is timing their sessions earlier in the day. By starting the day with an oxygenating breathing-focused routine, the onset of fatigue can be pushed back in some cases. Clients with FMS will improve best with personalized programs, which can be accomplished with Pilates. The focus should be on gentle stretching exercises and on deep, core stabilization work for both pelvic and scapula stabilization. The benefits of exercise for people living with MS are well-known, with research showing that regular and moderate activity can actually reduce fatigue levels, as well as improve muscular strength to support the skeletal system, increase mobility and help with regular bowel and bladder function. From Zumba to spinning, deep water exercise to running, people with MS often tell us about the weird and wonderful exercise classes they partake in and how much it has helped them to manage their MS. One type of exercise which is proving particularly popular among the MS community is Pilates, with research showing that this core-strengthening exercise can improve balance, mobility and muscle strength, plus lead to greater improvements in cognitive symptoms and quality of life when compared to more traditional exercise. For those unacquainted, Pilates – according to the NHS website – is a form of exercise “that aims to strengthen the body in an even way, correcting any imbalances present throughout the body, with particular emphasis on core strength to improve general fitness and well being.” Developed by German-born Joseph Pilates, who believed mental and physical health were closely connected, Pilates exercises are often done on a mat or using special equipment like soft balls and bands which are easily transferable for workouts clients can do at home. At Archer Pilates, we have the benefits of additional equipment, that many studios in our area do not have access to. Our Studio has the Reformer, Chair, Cadillac, and Barrel, which allow for a greater array of balance and strength exercises. 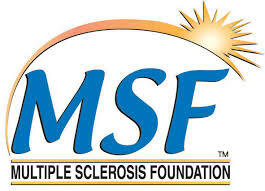 The resistance from the Springs on our specialized equipment, is ideal for clients living with MS to regain the muscle strength lost, that is unfortunately one of the most debilitating symptoms of their disease. Pilates exercises are low-impact but work every part of the body, and we at Archer Pilates have seen first-hand just how much of a difference this type of exercise can make to people with MS. There are a huge number of benefits. Our focus is building strength and control of the muscles, which then helps support the joints and skeletal system. It can improve balance, posture and body awareness, and just general well being, so if you’re feeling particularly tense or tight, Pilates really help you to relax and generally gets everything moving in a well balanced fashion. We’ve seen huge improvements in all of our clients here which is so rewarding to see. It doesn’t happen overnight, and you have to work hard, but long-term we have seen changes and we know they would all agree. You can see first hand from one of our long term clients Toni Patillo, with her video testimonial here, on how much her life has improved through our Program at Archer Pilates.